Hoodies There are 14 products. Show off your Los Angeles Kings fandom with this Men's Los Angeles Kings Camo Stack Pullover Hoodie - Black. Fellow Flyers fans are sure to be envious when they see you sporting this top. Show off your Los Angeles Kings fandom with this Men's Los Angeles Kings Rink Warrior Pullover Hoodie - Black. Fellow Flyers fans are sure to be envious when they see you sporting this top. 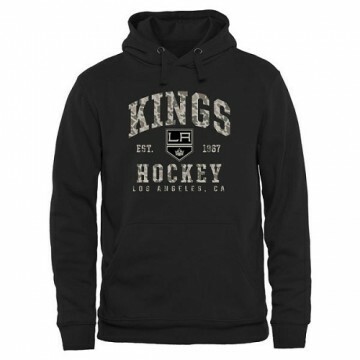 Show off your Los Angeles Kings fandom with this Majestic Men's Los Angeles Kings Big & Tall Critical Victory Pullover Hoodie - - Black. Fellow Flyers fans are sure to be envious when they see you sporting this top. Show off your Los Angeles Kings fandom with this Majestic Men's Los Angeles Kings Heart & Soul Hoodie - - Black. Fellow Flyers fans are sure to be envious when they see you sporting this top. 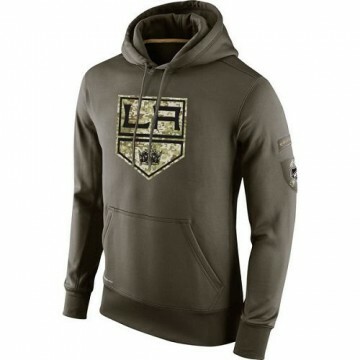 Show off your Los Angeles Kings fandom with this Nike Men's Los Angeles Kings Salute To Service KO Performance Hoodie - Olive. Fellow Flyers fans are sure to be envious when they see you sporting this top. 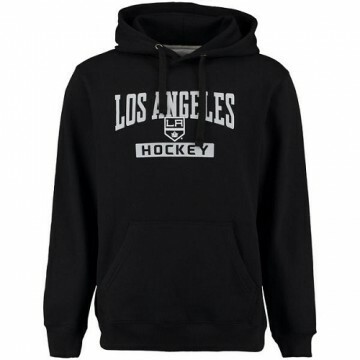 Show off your Los Angeles Kings fandom with this Men's Los Angeles Kings Old Time Hockey Big Logo with Crest Pullover Hoodie - - Black. Fellow Flyers fans are sure to be envious when they see you sporting this top. Show off your Los Angeles Kings fandom with this Men's Los Angeles Kings Pullover Hoodie - - Black. Fellow Flyers fans are sure to be envious when they see you sporting this top. 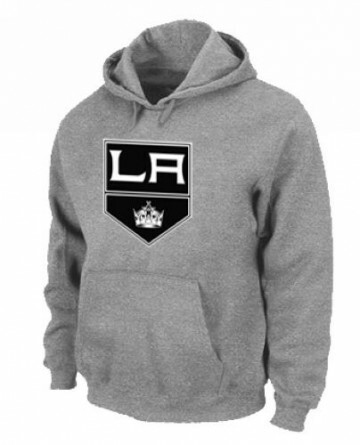 Show off your Los Angeles Kings fandom with this Men's Los Angeles Kings Pullover Hoodie - - Grey. Fellow Flyers fans are sure to be envious when they see you sporting this top. 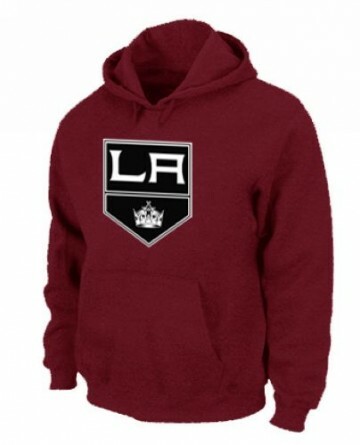 Show off your Los Angeles Kings fandom with this Men's Los Angeles Kings Pullover Hoodie - - Red. Fellow Flyers fans are sure to be envious when they see you sporting this top. 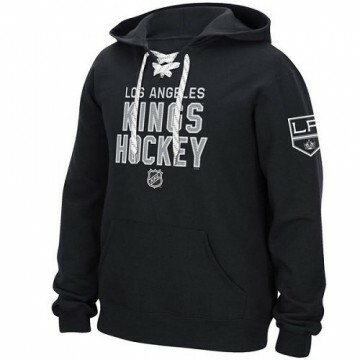 Show off your Los Angeles Kings fandom with this Reebok Men's Los Angeles Kings Stitch Em Up Lace Hoodie - - Black. Fellow Flyers fans are sure to be envious when they see you sporting this top. 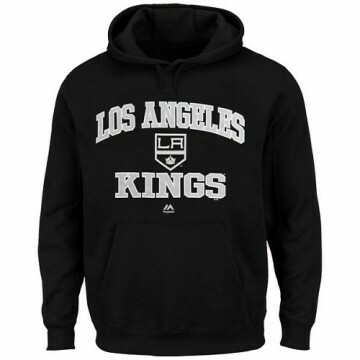 Show off your Los Angeles Kings fandom with this Men's Los Angeles Kings Rinkside City Pride Pullover Hoodie - - Black. Fellow Flyers fans are sure to be envious when they see you sporting this top. Show off your Los Angeles Kings fandom with this Men's Los Angeles Kings Rinkside Pond Hockey Pullover Hoodie - - Black. Fellow Flyers fans are sure to be envious when they see you sporting this top. 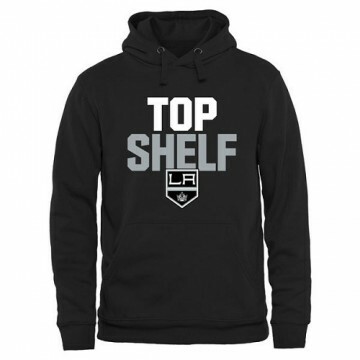 Show off your Los Angeles Kings fandom with this Men's Los Angeles Kings Top Shelf Pullover Hoodie - - Black. Fellow Flyers fans are sure to be envious when they see you sporting this top. Show off your Los Angeles Kings fandom with this Majestic Men's Los Angeles Kings Critical Victory VIII Pullover Hoodie - - Black. Fellow Flyers fans are sure to be envious when they see you sporting this top.